Ringing in the New Year can mean different things to Alaskans. But what we all share is the fact that we’ve made it past the winter solstice, and that means we’re once again gaining daylight with each passing day. And even though summer is still about 6 months out, we can start dreaming about summer fishing opportunities. Last month we promised some new features to this newsletter. These include a monthly how-to fly-tying video, an updated banner, and a fishing-related tip-of-the-month. They’re now here! In this issue of Reel Times, we’ll give you some tips about the most basic fishing gear – your fishing line. There are endless opinions and options out there regarding fishing line. We can help narrow the argument down to two main points that seem more universal than others – what you are fishing for, and where you are fishing. Answer these two questions, and your line choices just got simpler. You’ll also find our new fly-tying video, and of course regional information important to all anglers. If you ever have a story, or a picture of a memorable day on the water that you’d like to share in a future Reel Times, please feel free to send us an email to terry.thompson@alaska.gov. Welcome to 2019. Now let’s go fishing. Together. There are several sources available to anglers that go into great detail about fishing line. A simple Google search turns up a considerable number of links regarding how to choose your next fishing line and other aspects related to fishing line. One could spend hours researching the finer details of fishing line. We’ll try to give a brief overview of the differences in the three main types of fishing line available to anglers. The most common type of fishing line is monofilament. 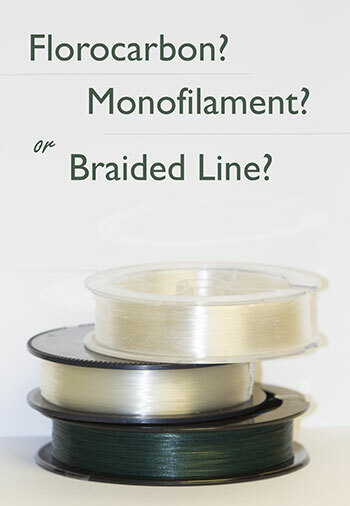 Monofilament line is made from a single-fiber plastic line that is made in various tensile strengths, basically how much a line will stretch before breaking. Mono also comes in a variety of colors, such as clear, green, blue, fluorescent, and red. Mono is a good versatile fishing line for most angling applications, primarily because it has more stretch, which can be useful when fishing powerful fish. However, mono tends to degrade faster than other types of fishing line and should be replaced yearly, if not more often. In addition, mono that is left on a spool for a period of time has the tendency to come off of the spool in coils, called “memory.” Lines with a lot of memory can lead to backlash and time spent untangling line rather than fishing. A great knot to use with mono is the improved clinch knot. Braided lines are constructed using individual strands of man-made fibers such as Dyneema® or Spectra® that are joined together (braided) to form a single line. It’s likely that the first fishing lines were constructed of braided materials. Braided line is thinner than mono, with the same breaking strength rating that applies to mono lines, meaning that the overall diameter of a mono line that is rated at 20-pound test is larger than the overall diameter of a braided line of the same 20-pound rating. Braided line has less memory, therefore, it has less stretch than mono line and can last a bit longer on the reel. In addition, braided line is more resistant to abrasions than mono. Specific knots, such as the Palomar or uni knot need to be used when working with braided line. While some anglers choose to tie braided line directly to a lure or hook, some anglers who use braided line will run a mono or fluorocarbon leader from the main braided running line to the lure or hook. Fluorocarbon lines are denser when compared to mono lines. As a result, fluorocarbon lines tend to sink faster than mono line, and are more highly abrasion resistant. Although fluorocarbon line is more sensitive than mono, it is less visible under water. However, fluorocarbon can be a bit more expensive than mono. What’s the best choice of line for you? In the end, choosing a fishing line comes down to personal preference. If you want an inexpensive line that is versatile and can be used easily in most fishing applications, monofilament is a fine choice. But keep in mind mono lines tend to have a lot of memory and you should replace it regularly. If you’re fishing is a bit more technical, maybe saltwater fishing or you simply want a thinner diameter line, so you can fit more line on your reel, braided line is a good choice. However, for some, learning new knots and working with braid may not be for them. Fluorocarbon is quite possibly the best of both worlds. Low memory, abrasion resistant, strong, and low visibility in the water. But the higher cost of most fluorocarbon lines can be a barrier to some. If you want to learn a little more about selecting the fishing line that is right for you, visit the TakeMeFishing Type of Fishing Line webpage. When selecting the appropriate fishing line to put on your reel, it’s important to first match the gear type to the fish species you plan to target. For example, you wouldn’t want to target king salmon on light tackle fishing gear that is designed to catch smaller fish such as rainbow trout or Arctic grayling. If you purchase a spinning rod and reel combo or just a spinning reel, one way to determine what pound test line to use would be to look on the spool of the reel. Manufacturers often list various pound test line choices coupled with the line capacity of the spool based on the pound test of the line. The chart below provides an example of what pound test to use for the given species of fish. How do I safely dispose of old fishing line? 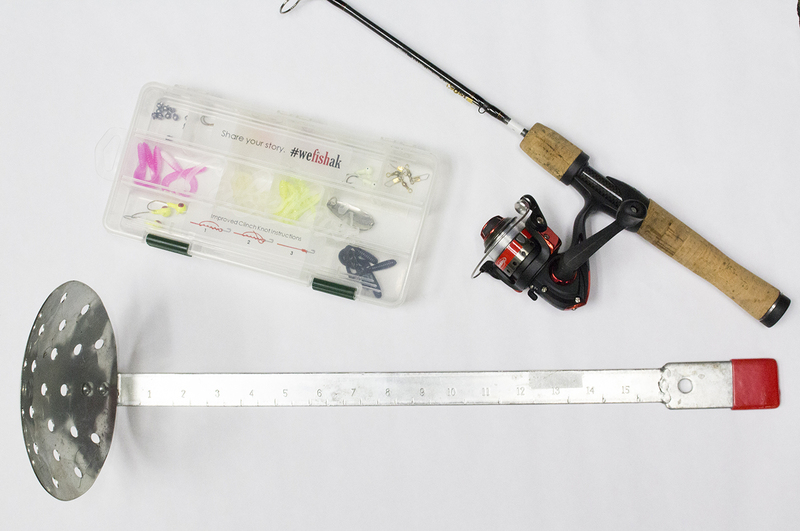 If you’re like most anglers, you have more than one fishing rod. And this means, when you respool your reels you’ll likely have a lot of old fishing line. How do you properly dispose of old fishing line? Depending on where you’re from, and where you fish, there may be fishing line collection options near you. At various fishing spots around Alaska, there may be large PVC tubes posted on poles providing anglers an opportunity to dispose of old fishing line while they are out fishing. You can also check with your local fishing tackle supply store as some retailers offer opportunities to dispose of used fishing line. 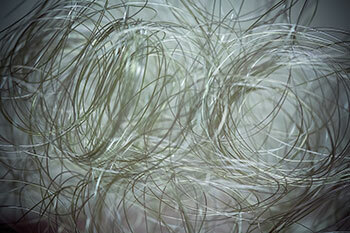 Berkley offers a fishing line recycling program. Contact your local recycling center and see if old fishing line is accepted there. If you have no other option but to throw old fishing line in the trash, one thing to do would be to wind the line around your hand and cut the line into small pieces. Wildlife and pets can inadvertently get caught in whole lines while scavenging through trash and some birds might try to use fishing line for their nests. Lastly, put the line in a bag or other container, tie it up, and dispose of it at your local landfill. This month’s tip is to start your first ice fishing adventure close to home. There’s probably a good fishing spot near you. First, find a spot close to you that offers easy access. Anglers can visit the ADF&G Lake Fishing Information webpage for lists of stocked and wild lakes in Alaska. This webpage provides anglers with useful information such as directions to lakes, bathymetric maps, and the types of species that are present in the lakes. Second, get your gear ready. Here’s a quick rundown of the items you’ll need to head out on your first ice fishing endeavor. If you don’t have ice fishing gear, check out our Rod Loaner Program which allows anglers with a valid fishing license to check out gear for a limited amount of time at no cost. Now, grab a few friends or family members and get out and go fishing. Together. Check out our new monthly fly-tying feature! 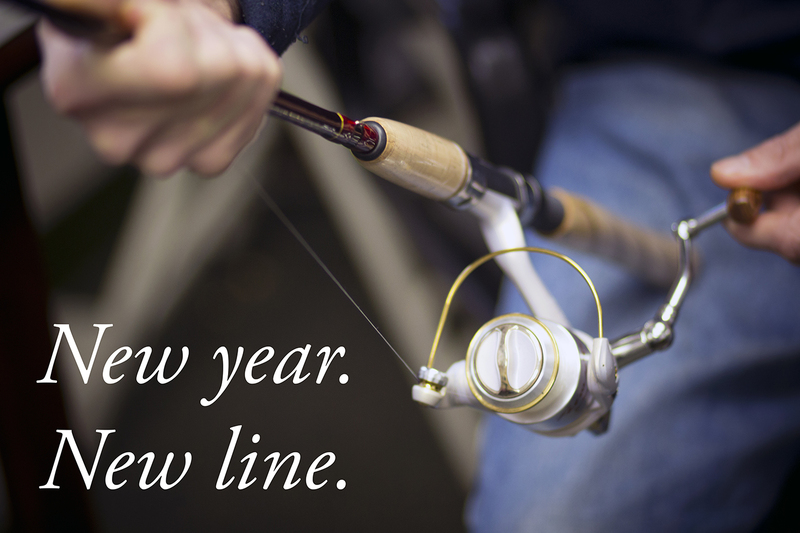 It’s January so who’s ready to get back out on the water and start fishing in this New Year? This could be YOUR year! This might just be the year that you catch the monstrous crab you’ve been waiting for, or that pot full of shrimp you’ve been waiting to see in your gear, or that notorious salmon that just keeps calling to you. Well dust off your gear from last season and get yourself ready for fishing in 2019. That’s right, the new year is here, and it is time to start the year off right. Fishermen across Southeast Alaska can help fisheries managers by taking some time this new year to make sure that your 2018 fishing permits have been returned. It’s not too late to submit your harvest reports! It is a quick and easy process, by reporting online, or by dropping it off at your local ADF&G office, or by mailing in the harvest report to the address on the permit. If filing online, be sure to enter your data and click ‘Return Permit.’ If you are returning by mail or in person, be sure that all of the harvest information is filled out correctly and signed. Anglers are also reminded that permit reporting is required for all those who obtained permits even if you did not fish. The information you provide is vital to the sustainable management of the fishery resources we all love. After you’ve checked that off the list, have you purchased your 2019 fishing license? If not, please visit the ADF&G Online Store where you can obtain a new fishing license and 2019 fishing permits in one fell swoop. Make it easy on yourself and be prepared to harvest in 2019. Wishing you the best of luck this coming year. Stay safe and enjoy the abundant fishery resources we have here in Alaska. And oh yeah, by the way, please be sure you have all of your 2019 licenses and permits in possession before you head out. Thanks, good luck and have a happy new year! Stocking fish throughout the Southcentral Region is an important function of the Division of Sport Fish (Division). Each year, fish reared at the William Jack Hernandez Sport Fish Hatchery in Anchorage are stocked in lakes, rivers, and marine terminal fisheries, all to benefit the sport angler. Southcentral Alaska has over a hundred locally stocked lakes. Anchorage alone has 31 local stocked lakes that provide individual anglers and angling families the perfect opportunity to get out and fish before and after work, during the summer and winter months. Over the next month, the Division will be accepting public comments about its 2019 Statewide Stocking Plan for Sport Fisheries. This is the perfect opportunity to let your voice be heard about stocking efforts in Southcentral Alaska and throughout the state. Maybe you have a few lakes you would like to see stocked or maybe you would like to see an increase in the number or size of a particular fish species that is stocked into a specific lake. We encourage you to submit your comments and recommendations before the deadline approaches. 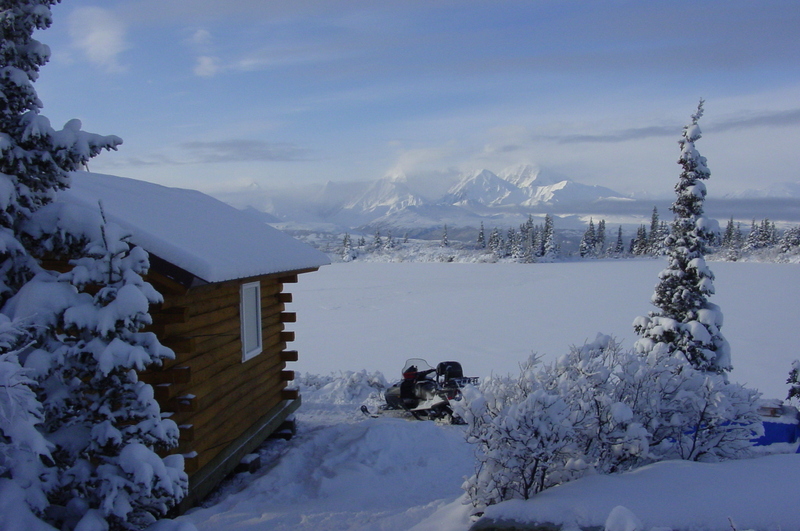 If you are looking for a fishing get-away this winter season, consider reserving one of the six Alaska Department of Fish and Game (ADF&G) public use cabins. Each of the cabins is situated on a lake offering great fishing opportunities, so be sure to haul in an ice auger and your fishing gear. All of the cabins are secluded and rustic. They are all equipped with a wood stove to keep you warm and toasty. 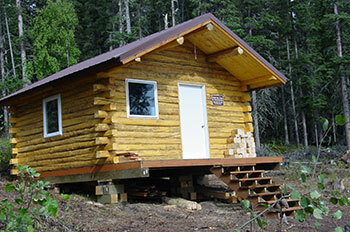 Nestled in the foothills of the Alaska Range, The Ken’s Pond cabin has bunk space for four adults. The cabin is located about 5.5 miles up the Coal Mine Road off the Richardson Highway, 24 miles south of Delta, at mile 242.1. Coal Mine Road comes to within 1/3 mile of the little cabin, which is accessed via a trail that leads directly to the cabin. Coal Mine Road is not plowed in the winter months, so access to the cabin is by snowmachine, dogsled, and skiing. On a clear day, a beautiful view of the Alaska Range can be enjoyed from the cabin’s deck. Right out the cabin door is Ken’s Pond, a 5-acre lake, that is stocked with rainbow trout and Arctic char. You must haul your own firewood, as woodcutting is not permitted on Bureau of Land Management (BLM) land. Maybe you are interested in just such an adventure, but could use a larger cabin to accommodate your party. Coal Mine #5 ADF&G cabin may suit your needs a little better. Also located off Coal Mine Road, Coal Mine #5 cabin is 16’ x 16’ and can sleep six adults. Coal Mine #5 Lake (13 acres) is also stocked with rainbow trout and Arctic char. Ken’s Pond is on BLM land, so again, you must haul in your own firewood. Four more cabins are accessed from the Alaska Highway. All are on state or ADF&G land, where cutting dead and downed wood is permissible, but we still recommend that you haul in your own firewood because there is not much available around the cabins. Lisa Lake cabin has a terrific view of the Macomb Plateau and has excellent rainbow trout fishing in the 50-acre Lisa Lake. There is a large double-ended pull-out at mile 1381 Alaska Highway where the 1-mile-long overland trail to the cabin begins. Donna Lake and Little Donna Lake each have a cabin on their shore. The trailhead is about 30 miles southeast of Delta Junction at milepost 1391.7 Alaska Highway. There is a large parking area and a double ended turnout with an ATV/snowmachine loading ramp. The 3.75-mile overland trail first brings you to 58-acre Donna Lake and continues for another mile to Little Donna Lake (30 acres). Both Donna and Little Donna lakes are stocked with rainbow trout. The most remote ADF&G cabin is located on George Lake. Travel to the George Lake cabin requires crossing the Tanana River. Access to the cabin begins at mile 1385 Alaska Highway at the George Lake boat landing. Open leads and overflow on the Tanana River in the winter months make getting to George Lake problematic at times. Once there, however you will find excellent fishing for Northern pike. Summer access to George Lake means travel down the Tanana River and up George Creek. During dry times, George Creek becomes too shallow to navigate. Even when passable George Creek requires some expert boatmanship. It is a very narrow, windy waterway. Of course, George Lake can also be accessed via air travel. Watch the video to get an idea of what the cabins offer. Then check the availability calendar to make sure the cabin of your choice is available for the days/nights that you want it. You may reserve five consecutive nights up to 6 months in advance. Also, for more information, take a look at the website for each of the cabins. You may reserve any of these cabins by calling 907-459-7228 (Fairbanks ADF&G) or 907-895-4632 (Delta ADF&G).